The UK House of Commons’ Transport Select Committee has called for the mandatory rollout of Transport for London’s (TfL’s) Safer Lorry Scheme across the country and beyond in order to improve safety for other road users. According to the group of MPs, road fatalities in the UK rose by four per cent in 2014 Commercial Motor reports. It also cited particular concerns about the number of cyclist injuries, which increased by 8.2 per cent over the year, despite the amount of cycle traffic only rising by 3.8 per cent over the same period. 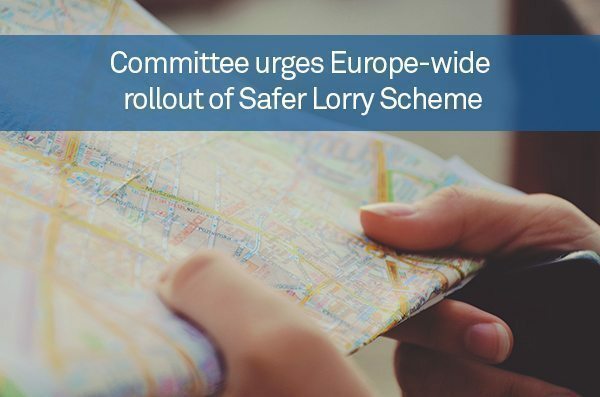 The committee’s latest report noted that heavy goods vehicles (HGV) are particularly “over-represented” in fatal incidents involving cyclists and called on the Department for Transport to study the impact of the Safer Lorry Scheme in London, and lobby the EU to make it mandatory across Europe if it is proven effective. Extending TfL’s initiative across the UK and beyond was not the only recommendation put forward by the committee to cut down on the number of incidents involving HGVs. Is also said the government should consider tougher penalties for HGV driving offences such as using a mobile phone behind the wheel, a reduction in the 60mph HGV speed limit, the restriction of HGVs in central London during rush hours and greater monitoring of foreign-registered trucks when in the UK. Concerning the proposed speed limit reduction, the committee stated that while HGVs are less likely to be involved in accidents than other vehicles, such incidents are more likely to be fatal. Therefore, the government should monitor the effect of the speed limit change carefully and reduce the limit if it is found to undermine road safety.